There’s a mystery about these photographs. They help us feel connected, and they’re often the only link we have to our ancestors. It’s important to preserve these connections to the past so that future generations can share in this almost mystical experience. The best part of printing these archival family photos is uncovering and sharing your family history. In order to create a family gallery wall in my home, I collaborated with my Mom, our official family archivist. She sorted through family photographs and scanned some of our oldest and most prized family photos. One of the photos my Mom found was taken in Czechoslovakia in 1888 before my relatives came to the United States in 1890. As we emailed back and forth, my Mom and I shared an excitement and appreciation for our family history that I will treasure. My family gallery wall is now complete. But, I’m already planning an expansion. We had too much fun creating this family gallery wall to stop now. Keeping your own (new) photos organized is most manageable if you regularly upload and save your favorite photos. Digital cameras and smartphone phones all have time stamps that make it easy to use your favorite photo storage program on your computer to save and organize snapshots by date or event. You can even add a quick caption or note to remind yourself of the names of people and places featured. Upload photos regularly for an ongoing archive of your memories. Wipe down the glass plate of the scanner with a lint-free cloth to avoid having any dirt damage your photo or show up on your scan. Use the photo setting when you scan, and take the time to label each photo with a note about the people, places and time period depicted. Consider a cloud-storage solution to free up memory on your computer and keep all of your memories safe. Even if a disaster destroyed your photos and your computer, your digital files will still be available on the cloud from any computer in the world, which provides total peace of mind. Once your photos are digitized, store originals in archival boxes for safekeeping. These boxes are available with binder rings and plastic sheets that protect your photos while allowing you to easily find one you’re looking for in the future. Label the boxes and keep them in a climate-controlled space. Though it’s tempting to keep them out of the way in an attic or basement, make sure that extreme temperatures and humidity fluctuations aren’t a factor in your storage space. The most enjoyable part of having all those great pictures in your life is to display them. 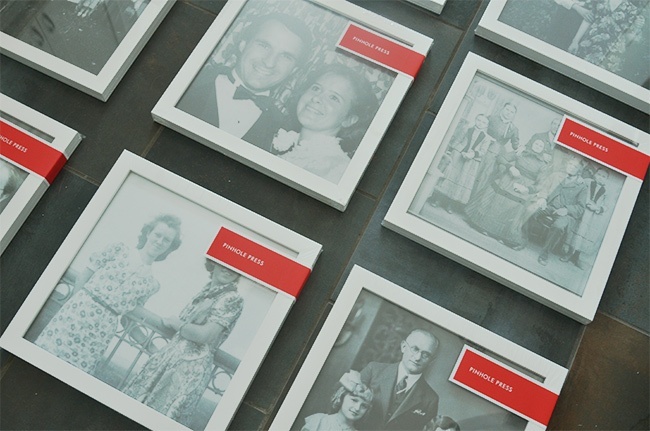 Printing and displaying family photos makes them easier to share. A framed print that’s hung on your wall is there for all to see — you don’t have to go rifling through a photo album to point out something to a friend or family member. 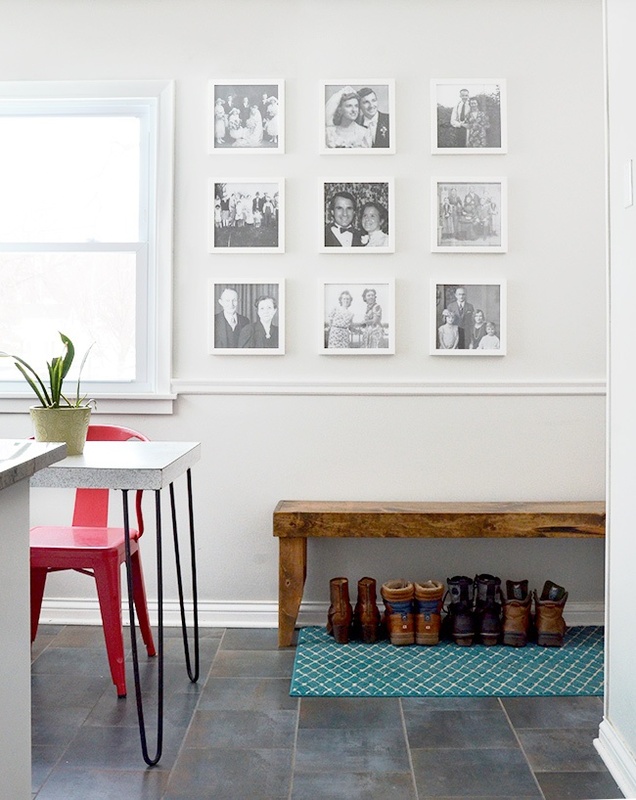 Framed pictures also make a great conversation starter: You can break the ice by talking about the location on display in one photo or describing an ancestor featured in another. Measure the section of the wall you’d like to use for your gallery, taking into account any existing windows or furniture. Decide how many photos you want to display and use this number to help you choose the photo size you want. Do you prefer many small photos or just a few large ones? Bear in mind that the final frame size will be slightly larger than the size of the print you purchase. Print and frame your photos. For the most convenient option, use the online service at Pinhole Press, where they print, frame and ship your photos. When they arrive on your doorstep, all you have to do is hang them up. Place your frames on the floor to test the arrangement and spacing. Use this dry run to try different arrangements to lock down your design before you start hammering nails into your walls. Measure your wall space again and double-check your spacing on the floor to make sure it will fit. Measure the spaces between frames to be sure everything is even — don’t just eyeball it. Go slowly as you transition from the floor to the wall. Determine your center point and mark the measurements of the rows first. Using painter’s tape will make everything easy to see, and it peels off easily when you’re finished. Next, measure and mark the column lines. If you’re having trouble keeping things square, peel up your tape and make several markings. A level can be helpful as well. Stand back and look at your tape outlines. When everything looks balanced, hang two frames and stand back again. If these look balanced and level, continue hanging your frames to complete your gallery wall. 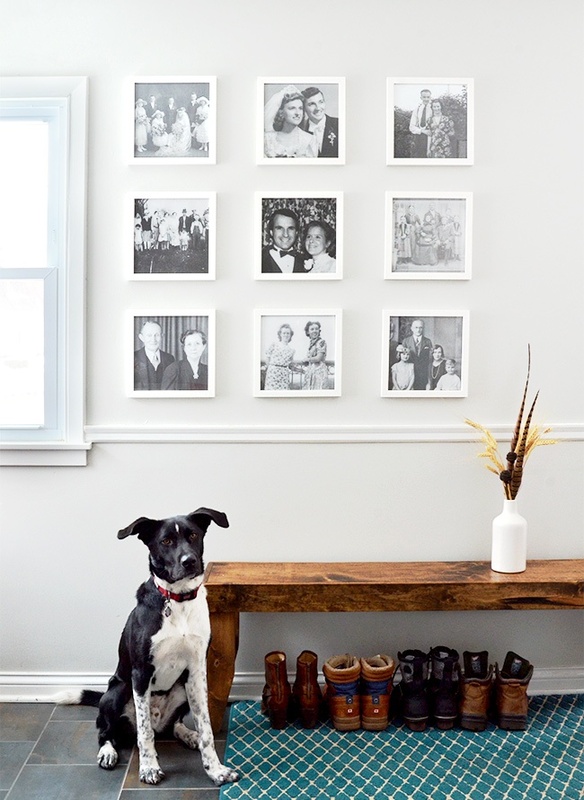 Once your gallery wall is complete, sit back and enjoy it! 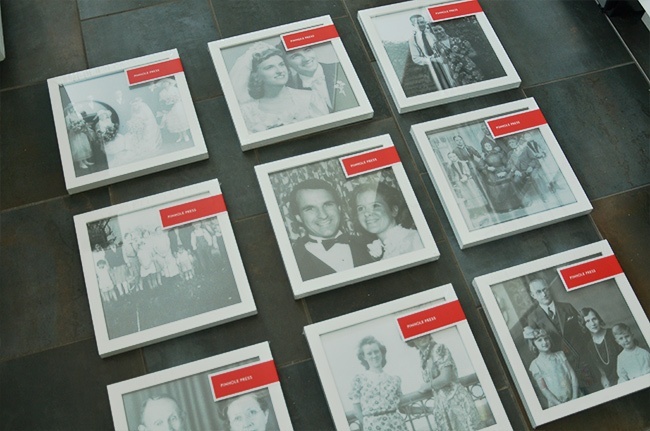 Guests to your home will love hearing about the memories and stories attached to these special photos, and your home will feature an artistic centerpiece that expresses your personality and enhances your decor. Next Next post: The Complete Guide: How Much Should You Spend on Children’s Gifts?